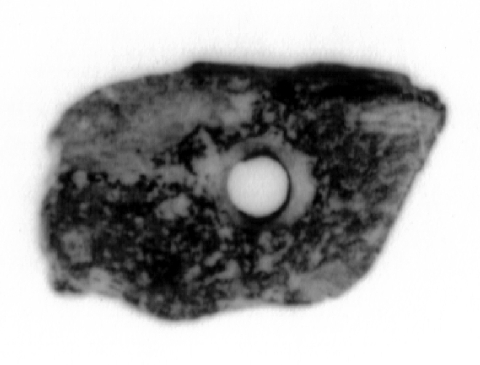 Description Bucchero fragment is roughly a parallelogram in shape. One side is slightly concave, the other is slightly convex. A circular bore hole runs through the center of the fragment.